During 1940 the German war machine seemed invincible, but this did not stop the British from trying to stop them. On Apr. 9, 1940 the Germans invaded Norway and Denmark (Operation Weserübung) and in doing so they put as many ships, submarines and aircraft on the front line as possible. Supplies were required in large quantities and of course merchant ships of all kinds were employed to move them. One such ship being used was the new freighter Florida, the 6,148 ton 454' long ship was launched on July 8, 1939 at Bremer Vulkan and completed in August of the same year. Eight months later on April 14, 1940 the ship was in a small convoy in the Skaggerak just off the Swedish coast heading from Germany to Oslo carrying some kind of war material or supplies for the German occupation force. In the days before the invasion the British deployed a number of forces, including submarines, to patrol off the Norwegian coast with orders to sink enemy shipping and disrupt lines of communication. 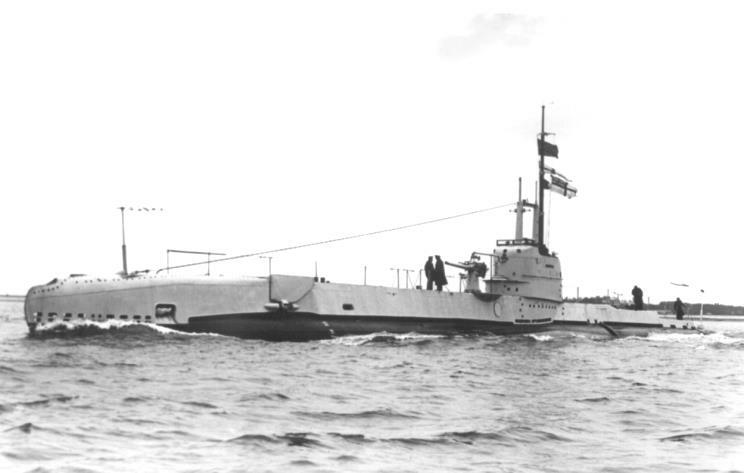 One of the submarines on station was HMS Snapper N-39 under the command of Lt. William D. A. King, R.N. King located the convoy and fired four torpedoes while surfaced using dead reckoning rather then the usual targeting equipment. After he fired the fish the boat submerged to escape the counterattack which was expected. Hearing distant explosions he knew at least one ship had been hit, this was the new Florida. I don't have any casualty figures but it is certain that the other ships in the convoy rescued many or most of those on board. The escorts dropped a number of depth charges, but without any accuracy and Snapper escaped to fight another day. The British effort, gallant as it was, could not match the forces assembled by Germany and so the occupation of Norway and Denmark was a success for Hitler. Snapper sank two other ships, both on Apr. 15 and both minesweepers, of course many other ships were sunk during the invasion and for the totality of what was achieved H.M. King George VI decorated many of the men involved, including a number of men on Snapper. Lt. King was awarded the Distinguished Service Order, Lt. Bevil G. Heslop and Lt. John H. Bromage were awarded the Distinguished Service Cross, Petty Officer William H. Passant, Petty Officer Archibald Stewart (T.G.M. ), Engine Room Artificer 1st Class Arthur J. Cooper, Act Leading Telegraphist Denis E. Walford, Act Leading Seaman Arthur Roberts and Leading Stoker Victor J. Parsons were awarded the Distinguished Service Medal and a number of men were Mentioned in Despatches (Lt. Geoffrey H. Carew-Hunt, Telegraphist Henry A. Narraway, Stoker 1st Class Samuel Palmer, Able Seaman George H. Mellows). HMS Snapper N-39, date and location unknown.